Comment Transportation time from and to accommodation is not calculated in the duration. 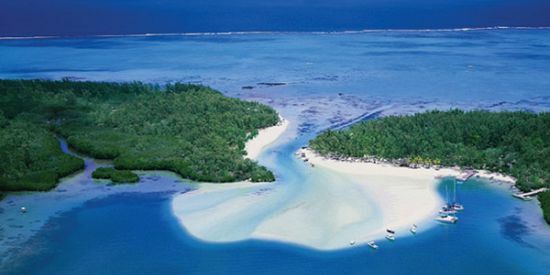 Experience Mauritius by land, sea and air in the most adventurous way! This day package is all about excitement, pushing the boundaries and going for the extreme. You will experience adventurous off-road biking riding your Polaris (quad biking or 4x4) vehicle, explore the underwater marine life through underwater sea walk and fly up in the air going for either the Tandem Skydiving or Parasailing. 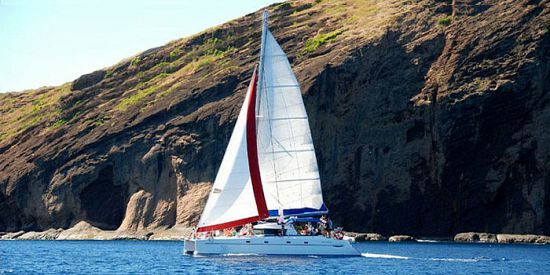 No doubt that there is no better day package for discovering Mauritius by land, sea and air offering you a day full of fun, having various exciting and adventurous activities. *The above is only a suggested itinerary and the time for the following activities: Tandem Skydiving, Parasailing, Underwater Seawalk is dependent upon the weather conditions. **The exact pick up time will be determined according to the location of your place of accommodation. Get ready to pump up the speed for an epic off-road adventure! Road trippers fasten your seat belts and get ready for an amazing time on the off-road tracks in the fields with full sensations of a Polaris vehicle. 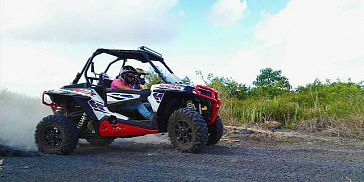 This fun and speedy ride will overwhelm you as you get to discover the incredible countryside of the northern part of Mauritius. You will have the chance to ride along the wild nature, vast area of sugar cane fields, rocky and dusty terrains, as well as along the humid tropical forest. For your 1-hour field trip you can choose whether to ride the vehicle alone, with a partner or a group of friends or family. The Polaris vehicles are available with 1, 2 or 4 seats, designed especially for fun and thrilling drive adventures. Your tour, led by an experienced guide, will start from Mon Loisir. 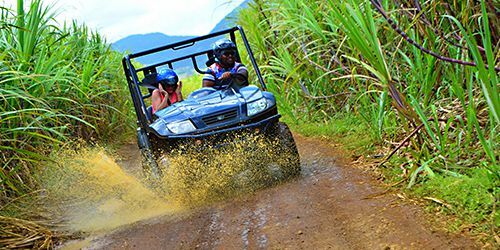 You will discover the exciting off-road northern region of Mauritius through its forest, sugar cane fields and private reserves. Before starting the circuit, you are offered a 15-minute trial ride on a small circuit, allowing you a better grab of the quad bike or buggy. After this short orientation, you will be ready to hit the road with confidence. Polaris ACE 325 cc [ACE Buggy] - 1 person per vehicle (the driver must be at least 16 years old OR of minimum height 1m50cm). Polaris RZR 570 cc [Adult Buggy] - max. 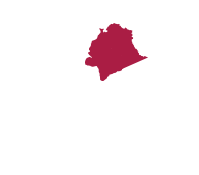 2 people per vehicle (the driver must be at least 16 years old, hold a driving license and of minimum height 1m70cm and the passenger has to be at least 6 years old). * Height is the primary criteria when choosing the type of vehicle, for the driver to be able to handle the vehicle properly. Parental consent is needed for any participants under the age of 15. Safety requirements: Pregnant women, cardiac patients and those suffering from severe back pain are not authorized to participate. Saturday : Arrival time for the afternoon session is 14h00 for departure at 14h30. 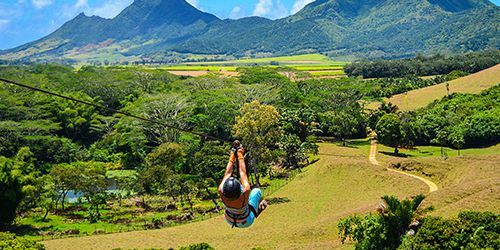 You can choose to opt for either the Mauritius Tandem Skydiving for an adrenaline pumping adventure, or the Parasailing for a lightweight, free-flying feeling. 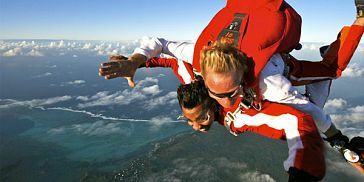 There is nothing like skydiving for sheer heart-stopping adrenalin and adventure, and there is no place like Mauritius to do it. The island’s magnificent landscapes take on an extra dimension when you’re 10,000 feet (3,048 metres) in the air. This is a unique heart-throbbing way to enjoy Mauritius' scenery above lush nature with a view on the turquoise ocean and golden beaches. The take-off is from the magnificent Sugar Fields of Mon Loisir with the views of Mauritius’ stunning lagoons and reefs stretching far into the Indian Ocean. The flight before the jump offers a complete 360 degrees bird’s eye view of Mauritius' awesome coastal, inland and mountain sceneries. During the flight you will be safely harnessed to your experienced and qualified instructor. Once you reach 10,000 feet above ground, both of you will slide to the open door. Your instructor will remind you of the basic guidelines to bear in mind. Once positioned correctly, both of you will jump. The amazing yet intricate feeling of free fall boosted by a high dose of adrenaline rush is a lifetime memory, especially when you are freefalling at a speed of about 200 Km/hour for about one or two minutes. Once you are approximately at 5,000 feet above ground, the instructor will open the parachute and you will smoothly begin to glide and descend for about 5 minutes while enjoying the beautiful surrounding until the flawless landing. Your instructor will equally make some wondrous swirls in the descent to offer you a 360 degrees bird’s view of the scenery. At the end you will receive a Tandem Skydiving Certificate to remember this lifetime experience. Tandem Skydiving refers to a type of skydiving that is a very popular training method for first time skydivers. The student skydiver is connected via a harness to a tandem instructor, who guides the student from exit through freefall piloting the canopy and landing. The student needs only minimal training before making a tandem jump. Before the jump the student is trained on how to exit the aircraft, do maneuvers in freefall and deploy the main canopy. However, the instructor remains primarily responsible for safe and timely parachute deployment. Modern parachute equipment is very reliable and instances of malfunctions are rare. In the unlikely event of a fault with the main parachute, the system is fitted with a back-up reserve parachute to guarantee maximum safety. Booking Deposit: In order to secure the booking for the Tandem Skydiving a deposit of 59 Euro per person is required (included in the prices below). Outstanding Amount: The outstanding amount of Rs 12,300 per person (approx. 306 Euros) should be paid on the day of the skydiving at the airfield before the jump. 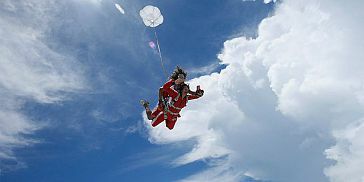 Tandem Skydiving DVD: You can choose to have a personal DVD of the skydiving for an additional charge as from Rs 4,000. The booking and payment for the DVD should be done at the airfield before the jump. 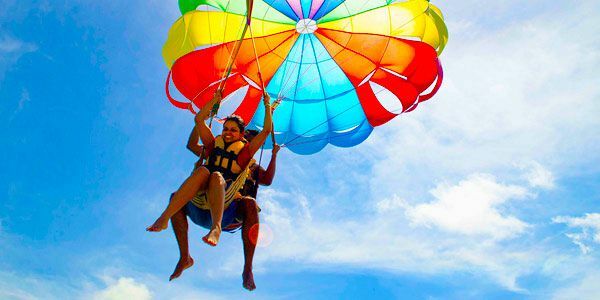 Parasailing offers you a breathtaking bird's eye view of the beautiful lagoon and beaches of Mauritius, making it one of the best things to do during your vacation on the island. The parasailing begins with a short safety briefing. Then you will be taken by boat to the launch pod where you will later take off and start the parasailing. Upon arrival to the launch pod you will be connected with a secured certified harness to the parasail. Only after the ground assistants have checked the rig and the flight harness, they will signal the boat driver to start the engine and gradually accelerate the boat. You will slowly take off from the launch pod for a flight above the beautiful lagoon. No steering is actually necessary as the sail follows the course of the boat. Optionally you can add to your already amazing experience a "touch and go" fun. 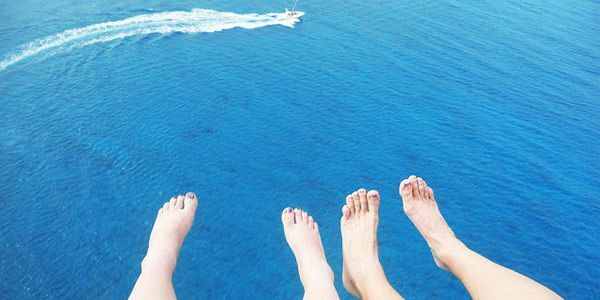 On the way down, instead of just reeling back onto the boat, you will fly for a while above the ocean and then be lowered down for a dip in the sea before going up again while enjoying a very refreshing plunge. 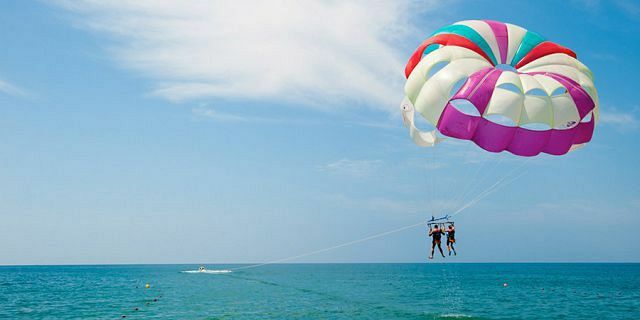 Parasailing, also known as parascending, is an activity where a person is attached to a specially designed parachute (parasail) and towed behind a boat. The boat drives off carrying the parascender into the air. Indulge into the flavors of freshly cooked seafood while you are resting your eyes on the marvelous views of the Indian Ocean. 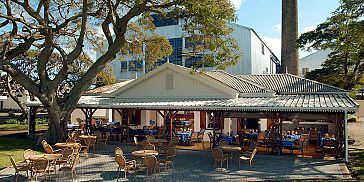 As part of this tour we offer you to enjoy a unique lunch experience at the well-known Le Capitaine restaurant - one the very popular restaurants in the North of Mauritius. The chef prepares delicious seafood dishes, served in a pleasant space that combines style with a relaxed and intimate atmosphere. Experience the ultimate sensation where time stops, worries fade away and breathing underwater becomes possible, safe and easy. The closest experience to a moon-walk! The Underwater Sea Walk is a true once in a lifetime experience for all the non-divers out there. 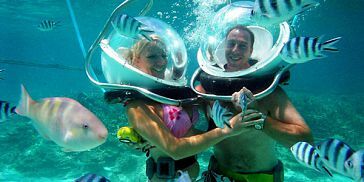 You can now enjoy a safe and fascinating 3-4 meter underwater walk on the ocean bed and witness firsthand the magnificent marine life of Mauritius. Walk around the beautiful fauna, corals and a wide variety of fish - all in their natural habitat. The excursion begins with a motorboat transfer from the center of Grand Baie to a platform situated inside the lagoon at the North of Mauritius. Upon arrival to the platform you will receive a pre departure briefing on safety procedures, the gear, the local marine life and the underwater walking trail. Then, with the help of the qualified and experienced guides you will go off the platform and straight onto your underwater walk adventure. 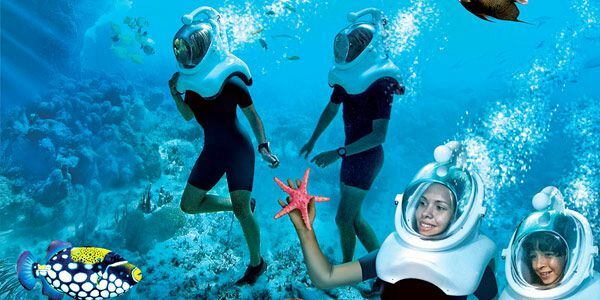 The guides will accompany you along the course of the Underwater Seawalk guaranteeing maximum safety. How is Underwater Seawalk possible? You will be asked to wear a helmet with a transparent visor. A special apparatus allows normal breathing under the water. Lifeguards will take you underwater and accompany you throughout the walk to guarantee maximum safety. The Underwater Sea Walk does not require any knowledge of swimming or diving and you are not even required to remove your glasses. 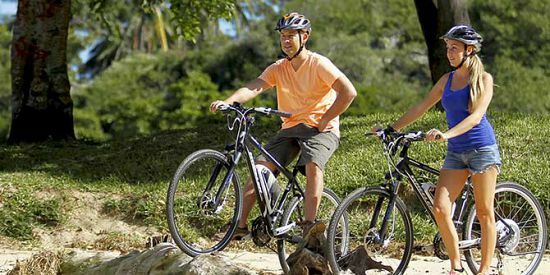 *The prices of the excursions, activities and entry tickets packages are special discounted prices. Note: The outstanding amount of Rs 12,300 per person for the Mauritius Tandem Skydiving should be paid on the day of the activity at the airfield before the jump. *The prices of the excursions, activities and entry tickets packages are special discounted prices. Opt for an exclusive quad/buggy, accompanied by a guide, either in the morning/afternoon or during both sessions.